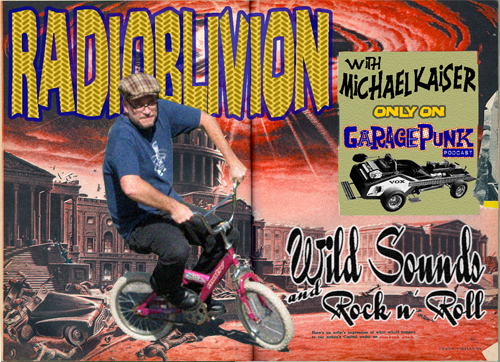 Presenting the second Billy Childish Blowout Bonanza on RadiOblivion eppy-sode 63! All Billy Childish , all the time. This go 'round is all side projects, one-offs, collaborations, solo, etc. Featuring: Thee Stash, Thee Headcoat Sect, Wild Billy Childish and the Chatham Singers, Guy Hamper Trio, Jack Ketch and the Crowmen, Blackhands, Del Monas, Thee Headcoatees, Sexton Ming, Dan Melchoir, Holly Golightly, and more! Download RadiOblivion No.41 for the 1st Billy Childish Blowout Bonanza, featuring the Pop Rivets, Milkshakes, Thee Mighty Caesars, Thee Headcoats, the Buff Meways, and the Musicians Of The British Empire.